By William A., M.Eng., P.E.g, Translations by Brenda H. Ph.D. and Mei C. B.A. One of the most influential Chinese martial arts scholars in China today is without a doubt professor Ma Mingda, a history professor at Jinan University in the city of Guangzhou, Guangdong Province. Most of the information about his work has come through the writings of Mr. Stanley Henning M.A., an independent scholar who has been a very generous mentor to the author of this article. In our first trip to China back in 2007, we arrived in Guangzhou to visit my wife’s family, so it was a nice opportunity to try meeting with professor Ma. Through one of his students we were able to contact him and set up a meeting; we knew that professor Ma is a very busy person, so it was a long shot, however we were gladly surprised for how easy it was to set up an interview the very next day. The door of his apartment was answered by Mrs. Ma who shows us the way into their home, a small yet cozy apartment, the studio is full with books with topics such as sports, Chinese classics, martial arts and calligraphy works. Mrs. Ma went to announce our arrival. Shortly after professor Ma appeared, the first impression was quiet the opposite you will expect for a university professor, a tall and powerfully built gentlemen, with the presence of an ancient warrior made his entrance. After the introductions of rigor, we proceeded to the interview not before Mrs. Ma kindly indulges us with tea, peanuts and other snacks. Professor Ma was born in 1943, and started his martial arts training at the tender age of six along with his brothers Yingda, Xianda R.I.P. (who served as consultant for the film cult classic, The Shaolin Temple starring a young Jet Li) and Lingda Ma who are also Masters in their own right. His father, Ma Fengtu and uncle Ma Yingtu were his first and most influential teachers; the Ma family moved to the Cangzhou area (a region known as the martial village) sometime during the early Qin Dynasty, Professor Ma’s great grand mother was from the Wu family another famous family branch within the Bajiquan lineage. The Ma brothers’ father and uncle combined Bajiquan and Piguazhang as well as the use of the Liu He Da Qiang (Giant spear) from the Mengcun and Luotong village branches into one, thus creating the basic core of the Tongbei martial arts studies (an approach for martial arts and scholarly studies that the Ma family has passed on for many generations, which also includes the arts of Chuojiao and Fanzi). 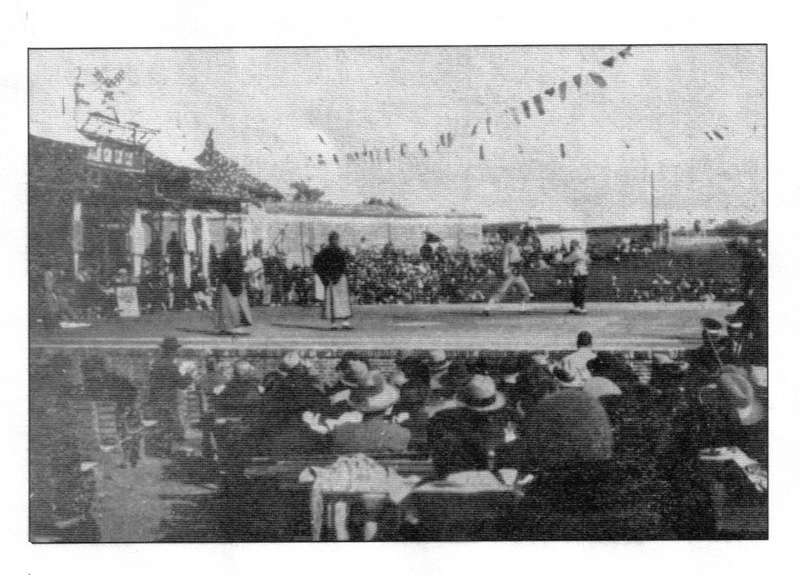 In 1927, General Zhijiang Zhang opened the Central National Arts Academy, Zhongyang Guoshu Guan, a project aimed to strengthen the nation’s citizens through the practice of Chinese Martial Arts; Ma Yingtu not only served as martial arts instructor but also as one of the organizers of the Academy’s curriculum and structure. 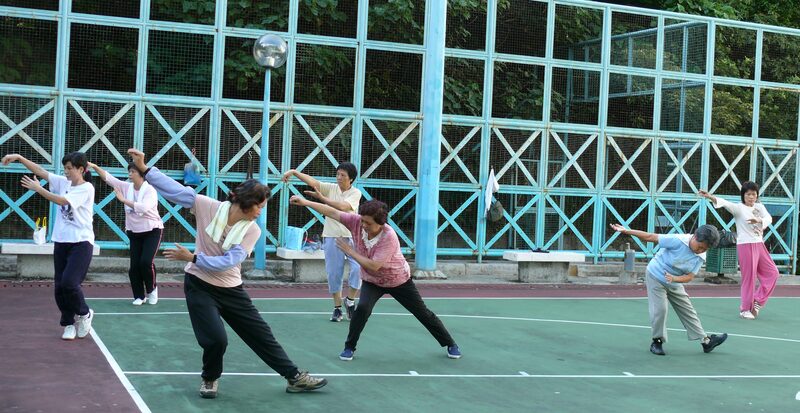 Through the Ma family, Bajiquan spread to the provinces of Gansu, Shanxi, Qinhai, Ningxia and Xinjiang, making Bajiquan one of the most popular styles in the Northern provinces. Ma Fengtu also contributed with the initial ideas for the National Arts Academy, his efforts were focused on creating similar structures in Shanghai. During the Republican period, Chinese Martial Arts were anything but a cohesive organization, several entities were born during this time that also created their own programs, and an example to this situation was the Jinwu Tiyu Hui. Professor Ma explained that the Chinese National Arts of the period had 11 aspects to be considered, among these are Taolu (forms practice), Shanshou, long and short weapons, Shuai Jiao, Archery, strength events etc., in 1929 an important paper was written after a national meeting that discussed these issues, and in 1935 a national competition was held in which important figures served as judges, among those we find Tang Hao who judged the Boxing contests, during this event the participants competed against each other in boxing, weapons, wrestling, archery, shooting, Chinese Jianzi (Shuttlecock), weight lifting among others. Professor Ma considers this event as one of the best athletics meetings in China, not only for the type of competitions that reflected the traditional martial ideals but also because it lacked of any political agenda, this event was a pure athletic meeting without the politics that plague modern day events. After 1949 this traditional approach was lost, due to the political changes that took place in China during that period. Professor Ma’s research interests can be divided in three major areas: sports, Wushu history and Tongbei studies. The latter was mentioned during the Ming dynasty by general Qi Jiguang that loosely translated is: to put many things together and make it as one, by taking short and long range styles and according to certain principles blend them as a cohesive unit. Ma Tongbei studies includes Piguazhang, Bajiquan, Fanzi, Chuojiao, Da Qiang, short and long weapons skills. Professor Ma is clear in that this concept was not originated within the Ma family, his father’s teacher was the first to mention this term, according to professor Ma the origins of the Tongbei concept might even precede to Qi Jiguang; In sum Tongbei means to be prepared and ready for anything. It is interesting to mention that professor Ma is the head of the Bruce Lee Research Association; he might be the only scholar in China who thinks that people should go back and study some of the theories set forth by Bruce Lee. Chinese Martial Arts development peaked during the Ming Dynasty, this historical period was a turning point in Chinese history, at that time foreign influences started to be assimilated in the country, e.g. fire weapons that caused a change in the way people looked at the martial arts, transforming them from skills used in warfare into health cultivation and metaphysical practices. These foreign influences originated new ideas on personalities like Qi Jiguang who looked for ways to include the new weapons into the native martial practices of his time, in ways never seen before all over China. During the Japanese invasion of Korea in the 28th year of the Quangli period of the Ming Dynasty, 1592-1598, none of the Chinese troops could stand against the invaders, but Qi Jiguang’s, whose troops were the only ones capable of such feat scoring numerous victories against the Japanese and Northern invaders; these troops carried on their martial traditions into Korea and Japan. 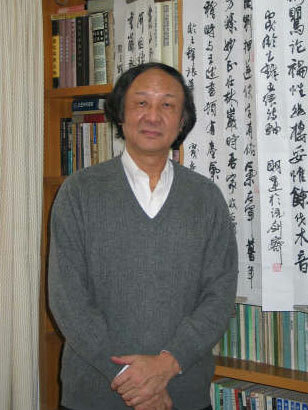 Professor Ma has made several trips to these countries in order to bring back those traditions that left China during the Ming Dynasty, as an example, he has found in Japan valuable information on Ming General Yu Dayou, another influential military figure; at the time professor Ma was writing a paper about these discoveries, preparing a complete biography of General Qi Jiquan and a project to translate into English some of his work (the latter came shortly to fruition with the publication of the Journal of Chinese Martial Studies, unfortunately the journal ceased publication in 2012). In professor Ma’s view Traditional Chinese Martial Arts practice should resemble the way they were practiced during the Ming Dynasty, an opinion that might only be shared by him. The only historical period that came closer to this ideal expression of martial practice was the Republican era, which was discussed in a paper written by him that attracted the attention of highly level officials. During the Ming Dynasty, music, medicine, martial arts and other elements of Chinese culture were highly developed through the influences already discussed. For professor Ma the more interactions among cultures and schools of thought, the more development will happen at many levels, when a country locks down onto itself there will be a decline in all aspects of a society. The Martial arts are a cultural treasure that belongs to mankind, different countries have their own traditions; the Ming dynasty developed so well because there was a new stimulus that was combining with what was in existence in China at that time, an almost unknown anecdote is that judo influenced Mao’s ideology in the 1930’s. Another interesting discussion with professor Ma was that in his opinion Chinese Martial Arts were influenced to a certain degree by the different religious schools of thought such as Buddhism, Islam and Christianity (in the last century), he acknowledges that many of the stories that circulate in modern folklore about these influences are in the best of cases unverifiable. In the case of Islam, in the last 200 years a number of people (some of whom are members of his own family) had been influential, many came to China as professional soldiers during the Yuan Dynasty, by the Qing Dynasty the state of affairs changed in a way that these people could not make a living as soldiers and became martial arts instructors. In the case of Buddhism, it emphasizes exercising the body in contrast to Taoism that does the opposite. Unfortunately the time constraints didn’t allow us to expand on these points. For many years people in China, shifted their attention to nourish their bodies, through Chinese history several periods of famine made the regular folk to spend a great deal of time on the search for food sources. This trend changed to a focus on money and wealth, which is why very few in the country are researching Martial Arts; professor Ma gives an example of this situation, Tang Hao a pioneer in Chinese Martial Arts scholarly research who professor Ma has the utmost respect for his work, so far no one has organized and edited Tang’s contributions. Professor Ma has spend 20 years of his life doing what he can in this subject, which is not an easy task if we considered that he is also travels extensively to other countries looking for old documents, which buys with his own money in order to bring them back to China. He hopes to publish his findings and make them available to everyone. Tang Hao’s research was very controversial in his time to say the least, which is not surprising if we considered he was not only moving away from tradition but also doing ground breaking discoveries never before seen in the country; However one of the problems Tang Hao and others of his time faced was that they were heavily influenced by Marxist ideology, which was the filter through which they used in their work. Professor Ma’s has been able to surpass these limitations, and in his personal case, due to his at times difficult position as independent scholar and the access he has to sources not available to Tang and his contemporaries. Currently there is a pervasive simplification trend of these cultural treasures in China that worries professor Ma not only in martial arts, Chinese language but also in Chinese medicine, many old books are neglected and not read; a serious trend if we consider that these people just want to learn the easiest ways, and then proceed to treat patients. As for martial arts, the Wushu movement, which is a modern day concept and Sanda practice, do not represent traditional martial arts. 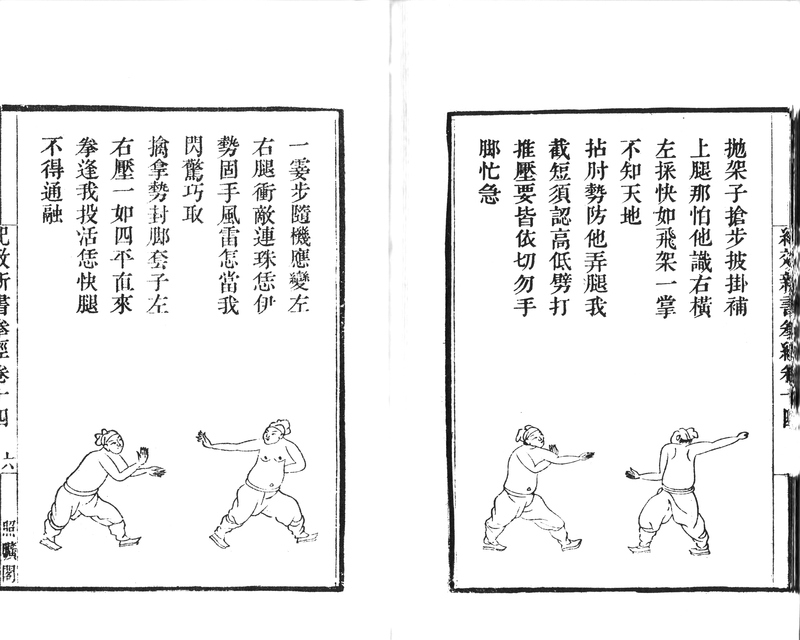 Professor Ma advocates using the term Shanshou instead of Sanda (which lacks a sense of identity and traditional Chinese ideas in its practice), a new set of formalities for these fighting bouts; replacing the popular way to salute your opponent using a fist hidden by the opposite palm. The main reason being is that this form of salute was in fact originated in secret societies, triads and mafia type organizations, in its place contestants should use the traditional way of placing the open hands one behind the other with the back of the outside hand facing the opponent and the palm of the inside hans facing oneself, to symbolizes that the martial artist’s opponent is at a higher position than him/herself. Finally the use of the term Wu Xue, to describe martial practice, the meaning of this is “To seek the truth of Martial Studies”. Traditionally there were 3 general aspects in Chinese martial arts competitions: empty hand fighting bouts, short and long weapons sparring with the last two eliminated from modern Sanda/Sanshou tournaments. The stages of traditional martial training can be divided in four steps: basic forms studies, 2 person sets exercises that help to understand how to use the techniques with a cooperative partner (e.g. Baji Duida), regulated fighting (these steps have been removed from Wushu and Sanda practice due to the fact that neither one is a pre requisite for the other) and weapons training. However professor Ma believes that the fighting aspect should not be over emphasized, because it will only cater to a small group of the population. Weapons practice is very important in styles like Bajiquan, practicing with the Da Qiang (Giant Spear) allows the student to reach higher levels in his/her practice. Generally it takes two years to learn the practical applications and three to five years to complete the whole process, in the Basic level Bajiquan is taught due to its simplicity, a very different view from other lineages that considered this style as something almost secret, only available to a selected few. In his opinion, for the Chinese Martial arts to improve their current state there must be a change of the powers in charge of organize and regulate them. One of the core elements Professor Ma teaches, Bajiquan, is also facing great challenges, at the moment the different Baji traditions are chaotic at best due to politically motivated issues; for this reason he has kept himself away from any political organization in order to preserve his position as an independent scholar. The practice of Bajiquan is simple, so simple that it is the first thing a Tongbei student learns, however some lineages are including superfluous techniques in their curriculums, changing the original forms and making exaggerated claims about their history, “water injected into pigs meat to make it heavier”. Professor Ma criticized the claims of a famous Baji teacher in Taiwan, that appeared in a Bajiquan book published in the island, which made this person not only to follow those observations in new editions of the book but he even contacted Professor Ma to thank him for his inputs. After discussing many topics on Chinese Martial Arts, we had to ask a final question, how could a fan of these arts find a good teacher? He gave us the following pointers. Due to the fact that there are not standards that can be used to qualify a teacher’s knowledge of the arts, it is difficult to really know if this person understands these traditions. However there are some things that a student can do, first of all researching their background. Using his/her lineages as a starting point, despite the fact that social structures in China are complicated there are few families with unbroken traditions that still represent the original martial ideals, relying on our own intuitions since as humans beings we are all the same,. The martial arts are not mysterious and if a teacher presents them this way that is a sign of trouble. Unfortunately these issues have contributed to weaken the state of Chinese Martial Arts to the point that they have almost no market in countries like Japan. Professor Ma was a recognized athlete when he reached his teen years however he maintained a cool detachment towards the study of Martial Arts and he would like to see the same in other teachers if these arts are to survive the XXI century. This is so wonderful and incredible!! !